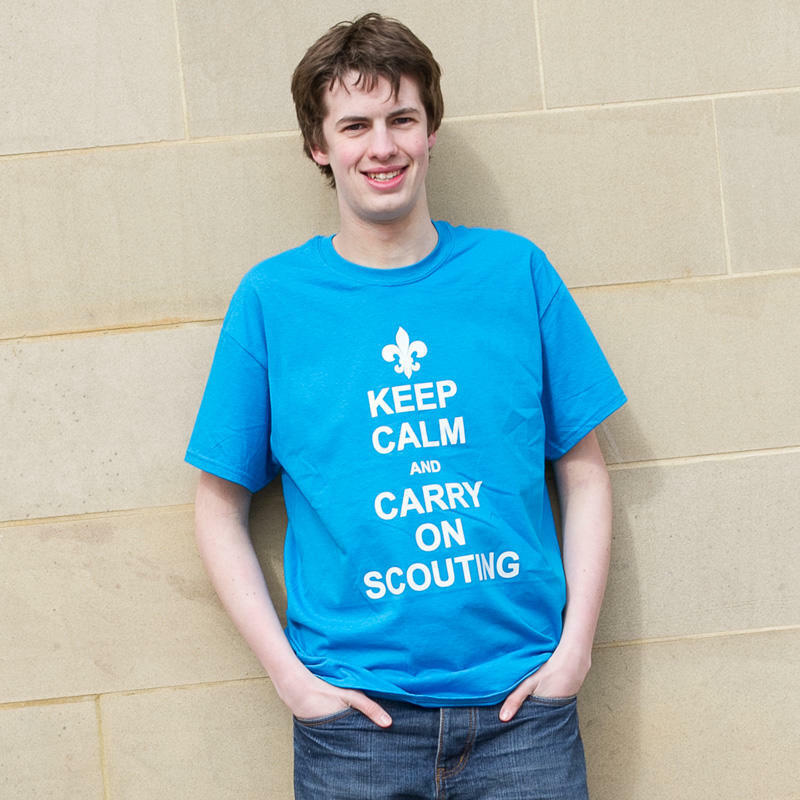 Based on the ever popular Keep Calm range, enjoy wearing this Scouting T-Shirt whilst hopefully remaining calm! Available in sizes S to 2XL, please select the size you require from the dropdown menu. For an extra £3.00 you can have your name printed on the back, in white. Simpy enter the name you require and tick the box to enable this. Select... S - 35/37" M - 38/40" L - 41/43" XL - 44/46" 2XL - 47/49"